Alaska Dispatch’s original article can be accessed by clicking HERE. Alaska’s U.S. Senators have joined colleagues from South Dakota and Hawaii in a national push to help prevent pregnant mothers from drinking alcohol and assist individuals living with the lifelong effects of various fetal alcohol spectrum disorders. A similar measure was first introduced in 1997 by Sen. Tom Daschle, and again in 2005 by Alaska Sen. Lisa Murkowski. In 1998, Congress called for the creation of a National Task Force on Fetal Alcohol Syndrome (FAS) and Fetal Alcohol Effects – a range of conditions brought on by being born to a mom who drank during pregnancy. The latest push comes 15 years after Daschle’s efforts – more than the full educational span of a child from kindergarten through high school graduation. While progress has been made, much work remains. Since the late 1990s, a generation of affected children have missed out on benefits that could have come from better diagnosis, better medical research and better ways for teaching kids with FAS. Affected individuals who were babies when public awareness of fetal alcohol exposure was growing are now young adults. Many struggle to find a successful place in the world. Some will make it. Others won’t. Three powerful agencies within the U.S. Department of Health and Human Services have programs dedicated to fetal alcohol spectrum disorders (FASD) — Centers for Disease Control and Prevention, Substance Abuse and Mental Health Services Administration and the National Institute for Alcohol Abuse and Alcoholism, a division of the National Institutes of Health. The FASD programs they administer are provided for in the Public Health Services Act, and the Johnson-Inouye-Murkowski-Begich bill seeks to reauthorize and extend those services. Alaska has been on the front lines of the fight for decades. But fetal alcohol exposure isn’t an Alaska-only problem. South Dakota Sen. Tim Johnson reports that as many as 8,000 people in his state live with the permanent effects of being exposed to alcohol as a fetus. There are likely at least as many Alaskans coping with the effects. 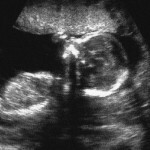 As many as 40,000 babies are born in the U.S. each year with FASD – up to 1 in 20 births – and it can cost nine times as much to take care of these children as a healthy child, according to the U.S. Department of Health and Human Services’ Substance Abuse and Mental Health Services Administration. Over a lifetime, costs can rise to as much as $2 million. Nationally, the hit the U.S. health care system takes each year providing services to related to FAS – the most severe condition — is as much as $6 billion, according to the substance abuse and mental health services administration. Costs rise sharply if people suffering a range of lesser, but still severe, conditions that fall under the umbrella term “fetal alcohol spectrum disorders” are factored in. Medical care, special education, and in some cases incarceration, are societal costs that add up quickly. People living with FASD cope with a wide variety of life- long birth defects. They may have physical, neurological, mental health and behavioral problems, ranging from mild to severe. The Advancing FASD Research, Prevention, and Services Act to improve research, prevention, and services for Fetal Alcohol Spectrum Disorders (FASD) was introduced last month by Sens. Murkowski, Johnson, Mark Begich, and Daniel Inouye. The Advancing FASD Research, Prevention, and Services Act would continue to authorize funds through 2017 for the needed research, surveillance and education to prevent this spectrum of disorders and help children and adults afflicted with the disease live a full and healthy life,” Begich said in a prepared statement by the bill’s sponsors. While there is no known cure, the bill…seeks a balance between directing and coordinating federal resources to prevention activities and to services for individuals living with FASD and their families,” Sen. Johnson said in the same announcement. The most severe condition on the spectrum of disorders that occur is Fetal Alcohol Syndrome, which is the only diagnosis tracked in Alaska on the state’s birth defects registry. It shows about 15 births a year in Alaska with the condition. But it’s thought for every established case of FAS, there are at least 10 babies that have experienced fetal alcohol exposure and fall elsewhere on the scale. Over time, that’s approximately 150 births per year. In the last half century, that rate would mean there are some 7,500 Alaskans living with the effects of fetal alcohol exposure. • Improve interventions and services for those afflicted with FASD who are incarcerated or within the justice system. • Authorized states, tribal organizations and other non-profit groups to develop support services such as vocational training, housing assistance, and medication monitoring services for adults with the disease.